Historians tracing the emerging division between church and state in the West have long recognized the importance of the eleventh-century Gregorian reform movement and the investiture conflict -- events that reached a dramatic climax in Pope Gregory VII's excommunication of Emperor Henry IV. 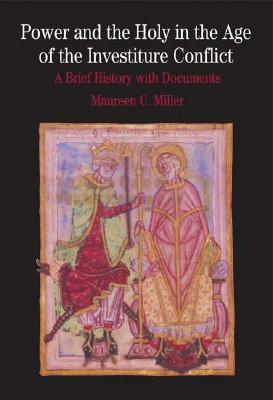 In her introduction to this ground-breaking volume, Miller recasts the narrative of reform and the investiture conflict -- traditionally portrayed as an elitist struggle between church and state -- in terms of a broad shift in conceptions of the nature of power and the holy. The volume brings together a wide selection of compelling documents -- many of which have been largely unavailable -- that allows students to place the investiture conflict within the wider context of social and political change in medieval Europe. Document headnotes, a chronology, a selected bibliography, and questions for consideration provide further pedagogical support. MAUREEN C. MILLER is associate professor of history at the University of California, Berkeley, and has also taught at George Mason University and Hamilton College. A specialist in medieval European history, she received her doctorate from Harvard University. She is the author of The Bishop's Palace: Architecture and Authority in Medieval Italy (2000), which was awarded the Helen and Howard R. Marraro Prize of the Society for Italian History Studies, and of The Formation of a Medieval Church: Ecclesiastical Change in Verona, 950-1150 (1993), which was a winner of the John Gilmary Shea Prize of the American Catholic Historical Association.